" Also set for a Tribeca world premiere is Fabien Constant’s French New Wave-inspired drama Blue Night, about a famous singer wandering the streets of New York City after a devastating medical diagnosis. Sarah Jessica Parker, Simon Baker, Jacqueline Bisset, Common, Taylor Kinney, Renée Zellweger, and Waleed Zuaiter star. " Blue Night, directed by Fabien Constant, written by Laura Eason. Produced by Andrea Iervolino, Monika Bacardi, Sarah Jessica Parker, Alison Benson. (USA) – World Premiere. With Sarah Jessica Parker, Simon Baker, Jacqueline Bisset, Common, Taylor Kinney, Renée Zellweger, Waleed Zuaiter. The big screen adaptation of Tim Winton's coming-of-age classic is going on a surfing safari around Australia. 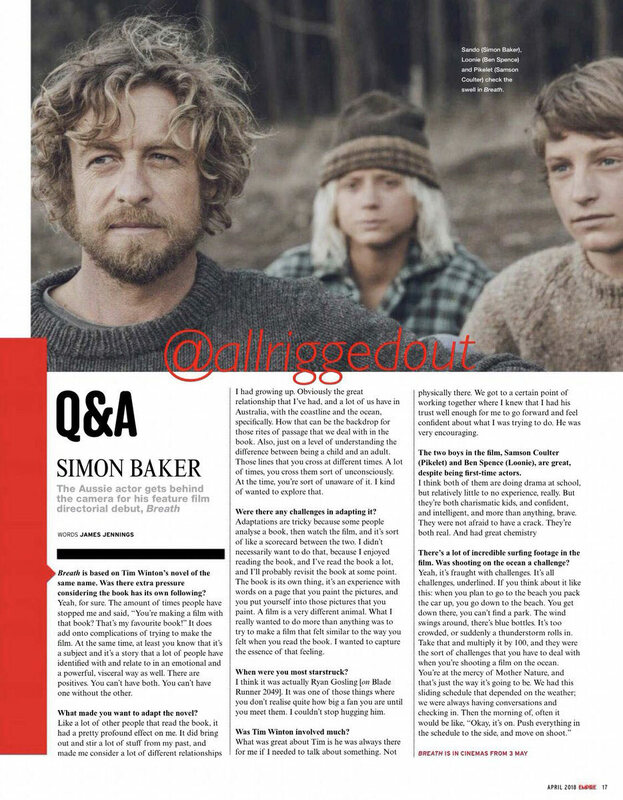 If you have any questions for or about Simon Baker, his directorial debut, Breath, or novelist Tim Winton, on whose book the film is based*, now’s your chance. Following its Gold Coast Film Festival screening on Thursday April 19, Roadshow is mounting a, ahem, roadshow. Baker will tour with the film to select locations around the country, participating in post-screening Q&As. Western Australia gets first preference, appropriately enough – the film is set there, specifically the South West Coast in the ’70s. The WA premiere happens in Albany on Saturday April 21 while Denmark, where the film was shot, gets a special community screening, followed by a Q&A screening in Perth. Thanks for the info, Marie. More pics to come hopefully . Wow thanks for the link I enjoyed reading it Happy Easter to you all. Thanks DSP. Good in-depth article which shows how much commitment, heart and soul Simon has put into making this film and how it has been a real labour of love for him. 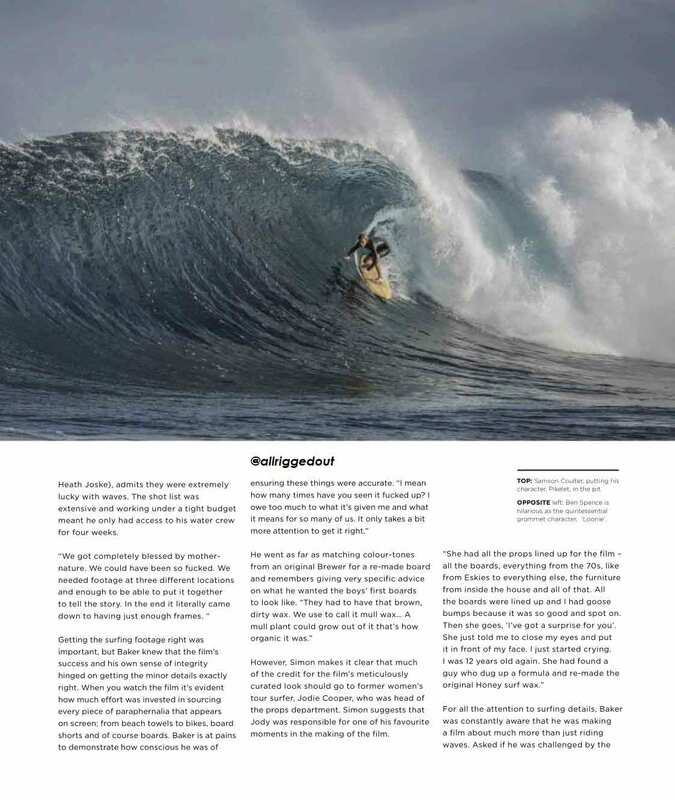 It also gives a little insight into Simon's formative years growing up in Australia. It surely deserves all the success it has achieved so far and I hope he directs more films in the future. A wonderful article. Everyone involved seems to have given the best of themselves to tell this story. I hope the general public takes it to their hearts. Thank you for sharing DSP. 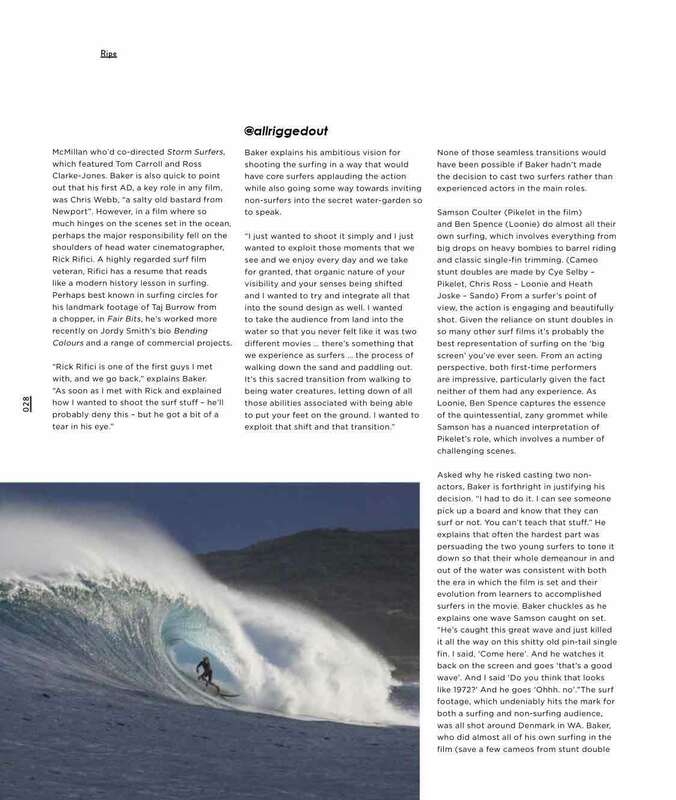 Thanks a lot for this great article! Happy Easter to all of you. Loved reading that article thanks DSP. Happy Easter everyone. HAPPY eASTER TO ALL OF YOU AND NOW......WANNA WATCH breath !!!!! 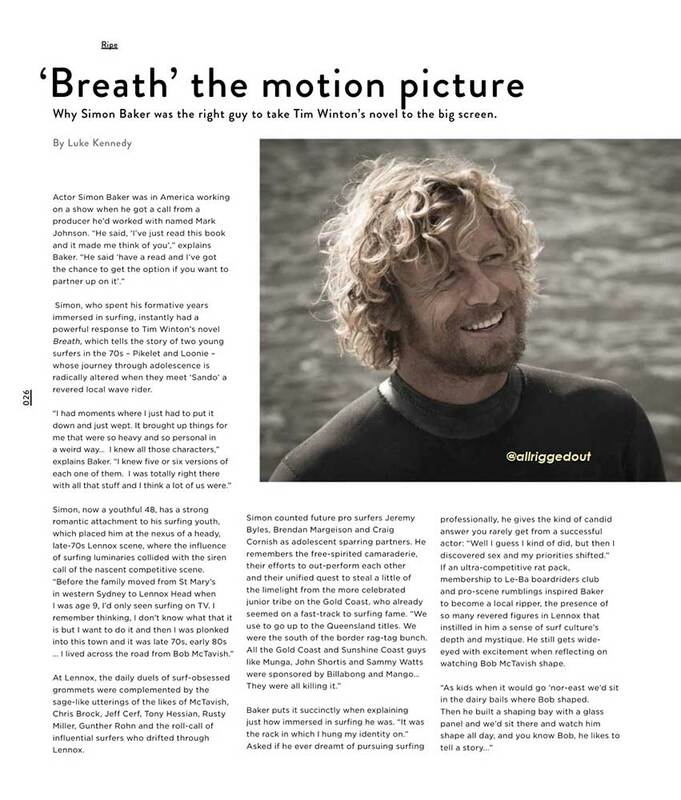 Don't miss Simon Baker’s feature film directorial debut BREATH based on Tim Winton’s award-winning novel of the same name. 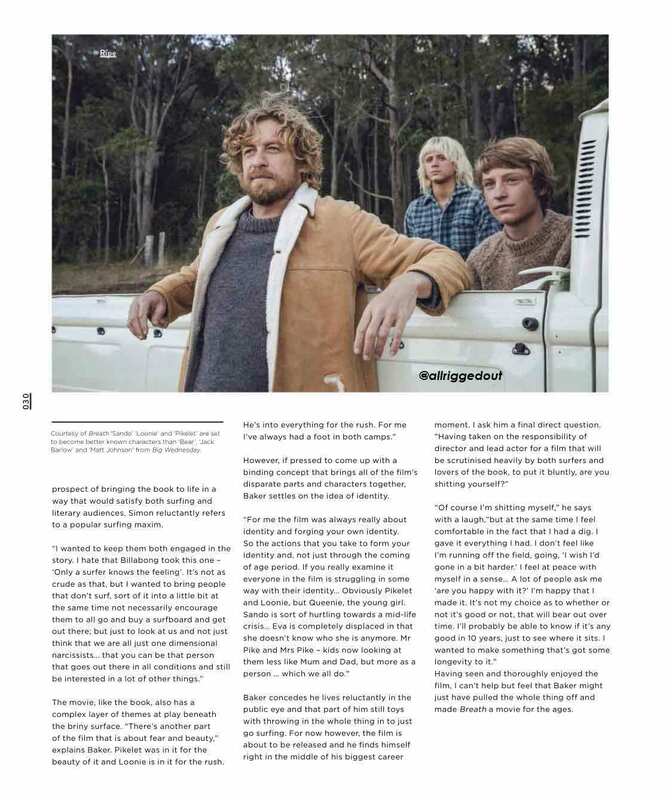 New article from Empire magazine Australia, April 2018 - Thanks to sara Pettarini. [size=9]"Did you just call yourself a wanker? 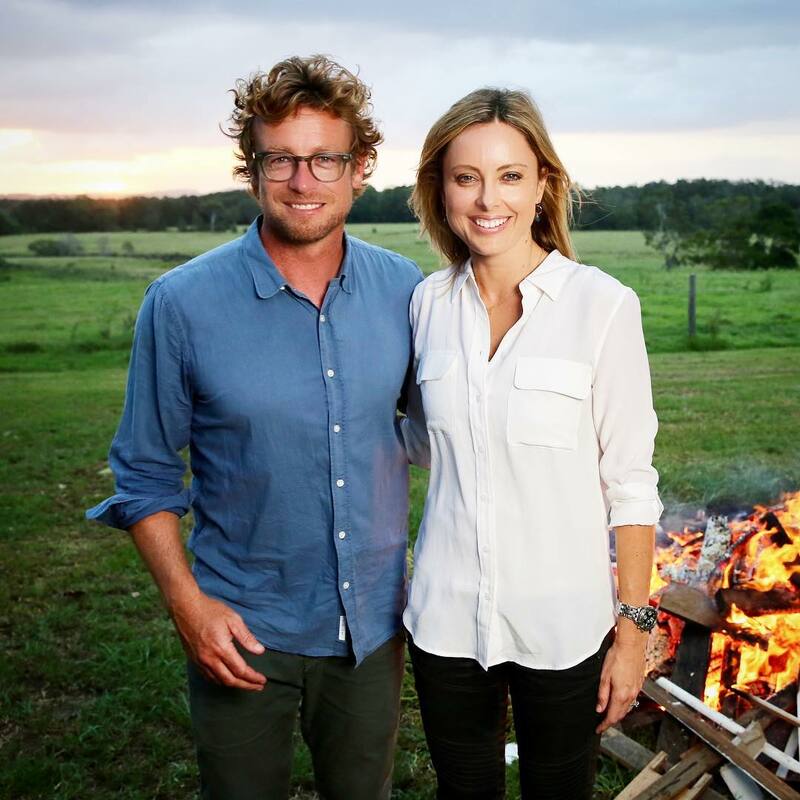 - Yeah..."
8.30 SUNDAY on #60Mins | Australia's home grown The Mentalist star is back in Oz! 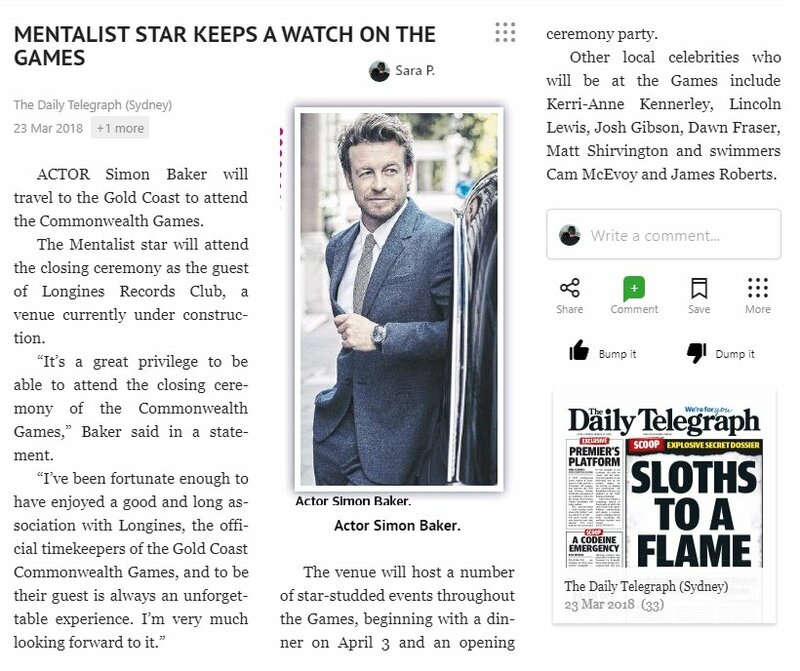 Simon Baker on life, love and his next big gig.